While the topic was interesting, the story itself was too disjointed and jumped from third person to first person. The basketball portions of the book were small in comparison to the narrative commentary on race relations not only in Omaha, but throughout the country. Reading this book was really cool because I could identify the places they were talking about and got to understand history I never knew existed in my own city. Very interesting read. Paints a picture that many younger people in Omaha are unaware of. Definitely recommend this book as well as the documentary A Time for The Burning. Although not the main focus, really found the parts about Gayle Sayers compelling. As many are familiar with his story in relation to the NFL and Brian's Song, this book adds new perspective and background on the atmosphere he came from. Again, recommend this book for all 30 For 30 fans. I was drawn to this book more by the Nebraska history than the basketball, and I wasn't disappointed. 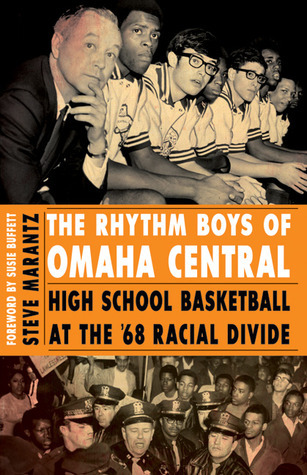 Steve Marantz – himself an Omaha Central student in the late '60s and an eyewitness to the accounts he describes – does a great job weaving the events in Omaha into a national historical context. It's a very readable, very interesting story. A very well researched account of the race riot that occurred in 1967/68 following the appearance of George Wallace in Omaha, Nebraska. The author has used the remarkable basketball team of Central High School as the focus of his story. Diaries, interviews, newspaper accounts are utilized by the author to verify a tale between two cultures of bigotry, politics, and sports. This was not the most literary book every written. I was not perhaps the intended audience. It *does* however, give a good snapshot of Omaha in a very tumultuous time. So, if you enjoy stories about Basketball, or are from Omaha, I would recommend this book. Wow, this exposes little known historical facts about Omaha that put current views and sterotypes into perspective. A must read for Omahans!